Find a California Southland Walk to End Alzheimer's near you! The Alzheimer’s Association California Southland Chapter provides free educational programs, support services and care consultations across Los Angeles, Riverside, San Bernardino, Kern, Tulare, Kings and Inyo counties while also supporting critical research toward a cure. To find a support group, program or regional office near you, contact our 24/7 Helpline at 800.272.3900. No one should face Alzheimer’s alone. We offer support groups throughout Southern California. The Alzheimer's Association® ofrece grupos de apoyo y clases en todo el Sur de California. We are here to help you 24 hours/day in over 200 languages. Help provide support for families living with Alzheimer's and their caregiver while advancing research towards a cure. 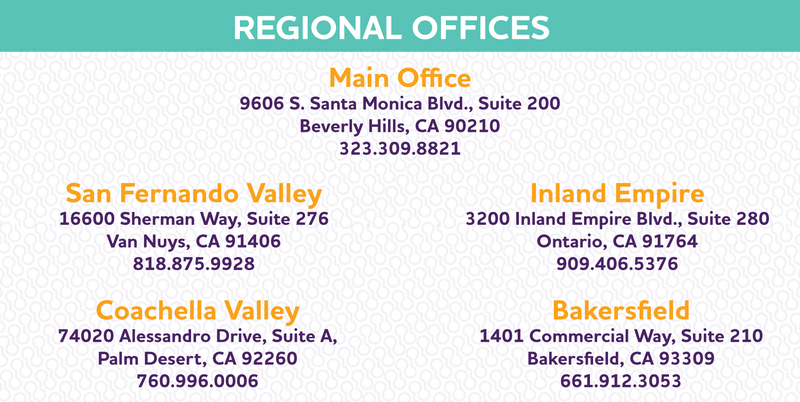 Visit one of the 5 offices serving the Los Angeles, Riverside, San Bernardino, Kern, Tulare, Kings and Inyo counties. Call us toll-free for reliable information and support in over 200 languages.